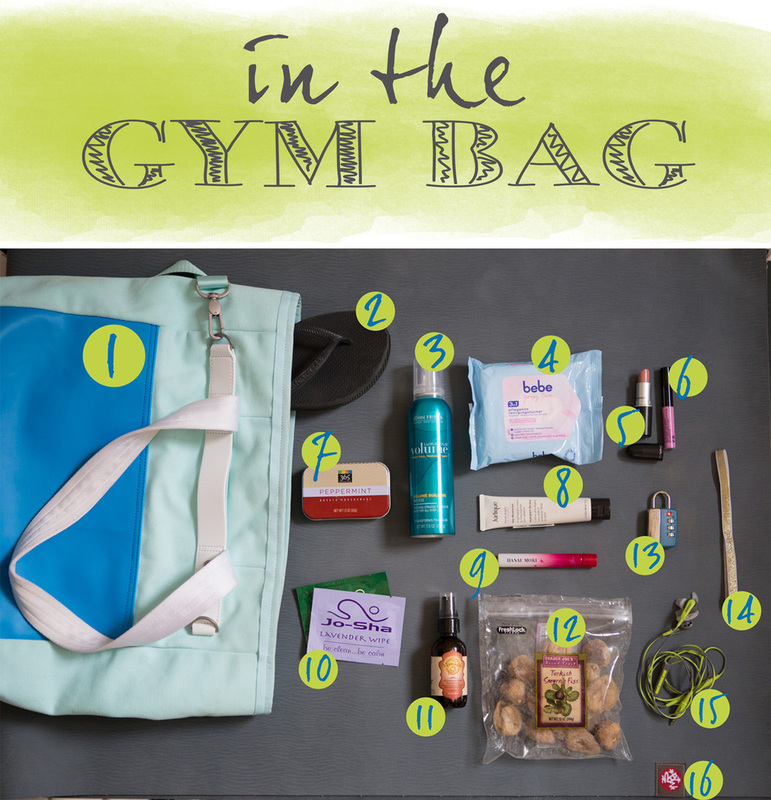 What's in my gym bag. Back in November, I went to Dubai to teach at the International Dubai Yoga Festival and visit my friend. On one of the days, she was working, so I borrowed her beach bag and headed for a day in the sun and wound up falling in love with the bag. It was smartly designed, with zippered pockets, a drawstring bag inside, a hidden outside pocket and a detachable cross body strap. The outside was awesome too, with rubber sides that wipe down easily, and studded "feet" on the bottom if you have to set it on the ground. I was in love with it, but wasn't about to spend over $120 on it! Instead, I went to ebay and wound up scoring it (brand new with tags, no less) for $26! YES. Anyway, I use it every time I go to the gym and wanted to share the contents with you. I'd love to hear what you carry around! 1. Lululemon Urban Oasis Tote- The best bag. 2. Havaianas flip flops - My gym offers Bliss lotion, shower gel, shampoo and conditioner, so all I need to bring are my shower shoes. 3. John Frieda mousse- To give my hair a little extra umph. 4. Make up remover wipes - These are from Germany, but my favorite American version is on super sale. 6. Lip gloss - To go over the lipstick. 7. Mints - These are from Whole Foods, but I've had these and liked them! 8. Jurlique moisturizer - This is a longtime favorite face cream. 9. Hanae Mori rollerball - I wore this perfume on my wedding day, and the scent always reminds me of that day. 10. Jo-Sha wipes - These are a natural disinfectant I use to wipe down my yoga mat. 11. Marrakesh oil - My mom gave me this last summer and it's fantastic as well. 12. Dried figs - I am usually starving after a workout. Luckily, Trader Joe's is right next door to my current gym, so I'll have a couple figs to hold me over while I shop. 13. Lock - I use one of our luggage locks for my gym locker. 14. Headband - For obvious reasons. 15. Headphones - I love these Bose headphones. They're excellent quality, and Bose has fantastic customer service, so if anything ever goes wrong, they'll replace them. Tell me, what do you carry in your gym bag? PS- More fitness gear and yoga gear.